Interior rendering of the new Mauka Concourse at the Daniel K. Inouye International Airport. 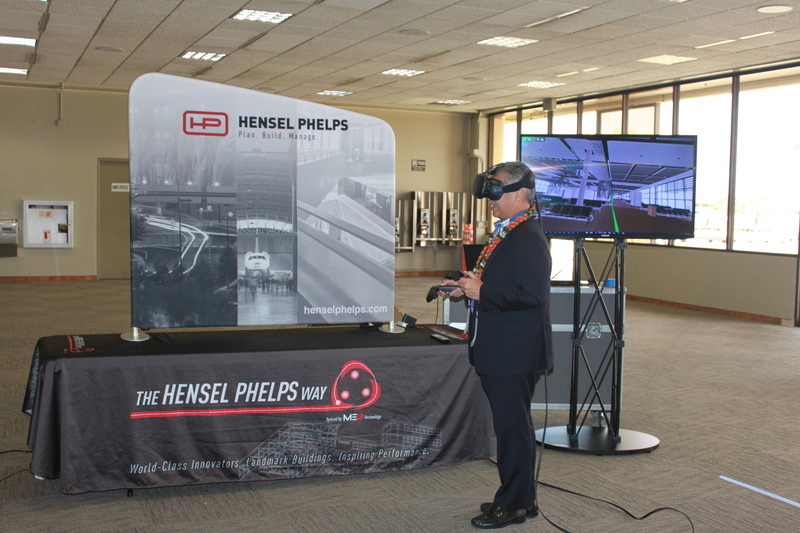 Holdroom rendering of the new Mauka Concourse at the Daniel K. Inouye International Airport. Aerial rendering of the new Mauka Concourse at the Daniel K. Inouye International Airport. 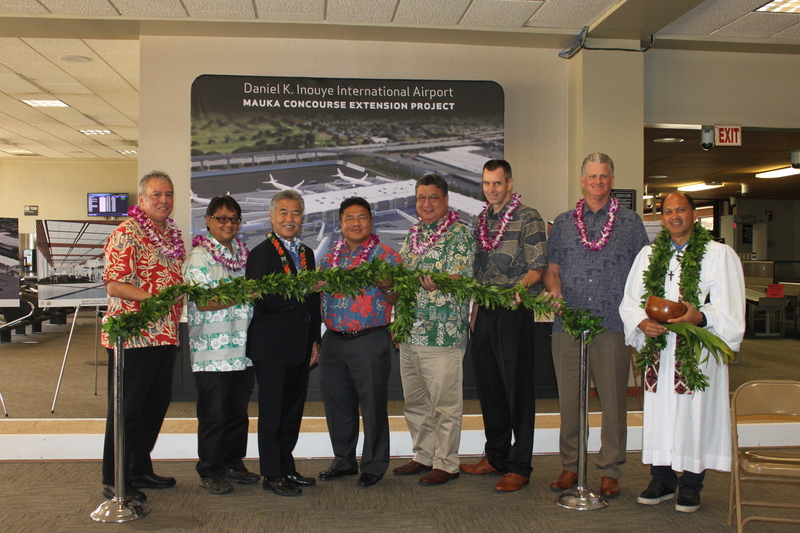 Airlines Committee of Hawaii Co-Chair Blaine Miyasato (from left to right), House Vice Speaker Mark Nakashima, Governor David Ige, HDOT Director Jade Butay, Senate President Ronald Kouchi, Hawaiian Airlines President & CEO Peter Ingram, Hensel Phelps Vice President Thomas Diersbock, and Kahu Kordell Kekoa participate in the untying of the maile lei during the groundbreaking ceremony for the Mauka Concourse project.